Following nearly eight months of contentious bargaining, IAM Local 16 members avoided a strike at Vancouver International Airport (YVR) by agreeing to a contract late Saturday night. They were scheduled to strike the same day if an agreement was not reached. The agreement with Swissport Canada, a YVR airport contractor, covers 855 members—with the exception of wages for Baggage Service Operations workers, and will proceed to binding arbitration. The new three-year deal merges the collective bargaining agreements of the former Servisair and the new Swissport Canada. Improvements include wage parity for Swissport ramp employees, an enhanced lump-sum payment for Servisair ramp employees, increased wages for aircraft groomers and improvements in longevity pay and sick time credits. IAM Local 16 members provide ramp and grooming services, as well as operate and maintain the entire baggage belt systems at YVR. 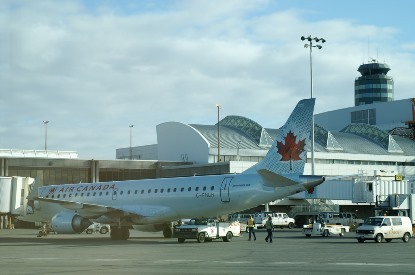 Swissport Canada provides services to more than 20 airlines on the property.